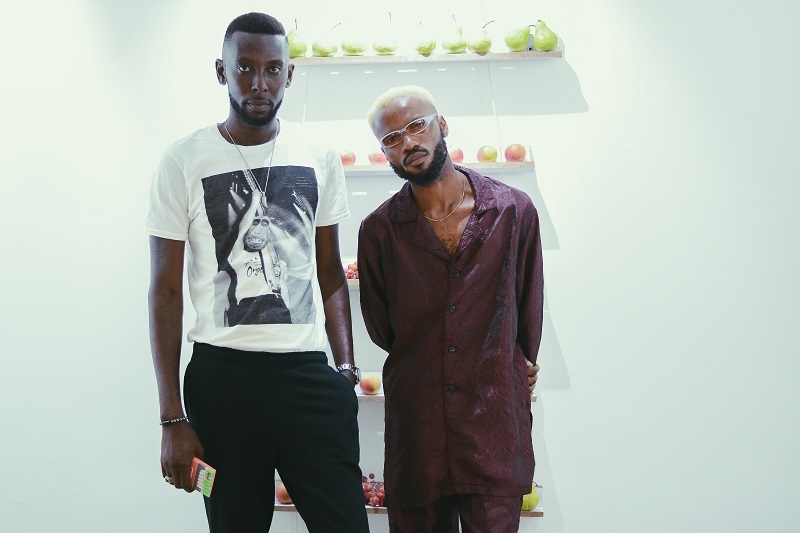 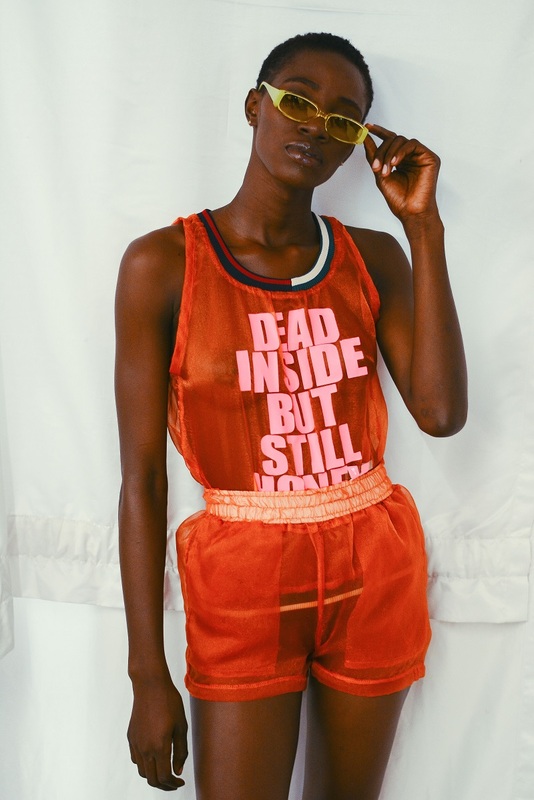 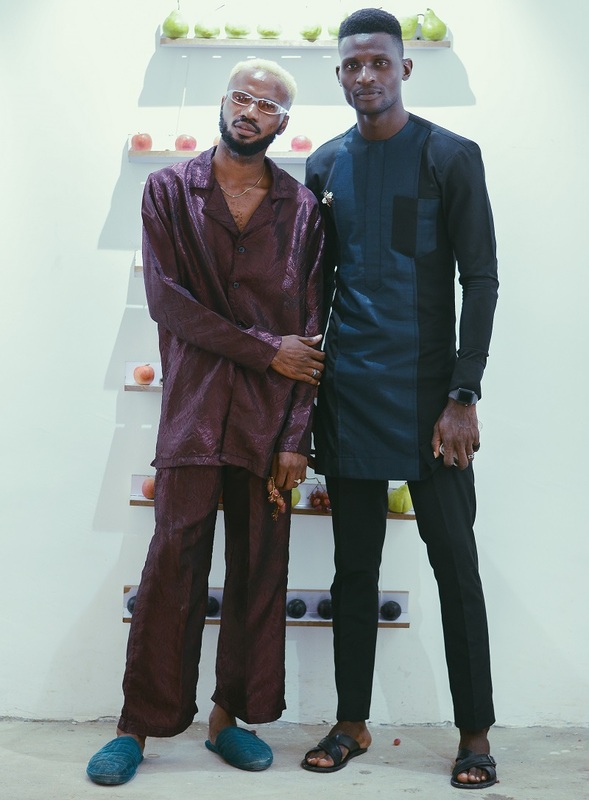 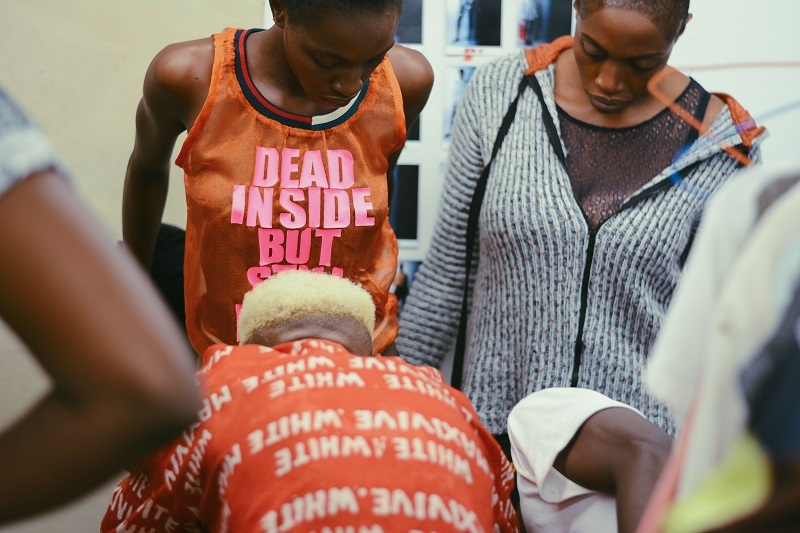 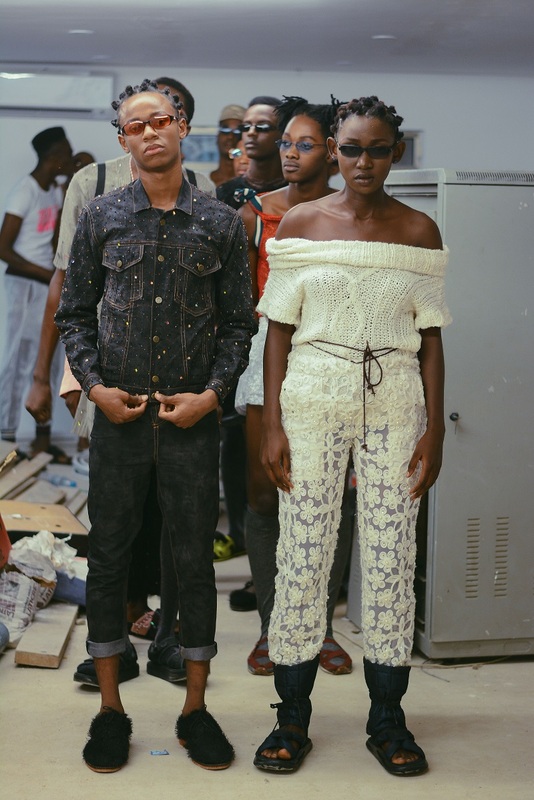 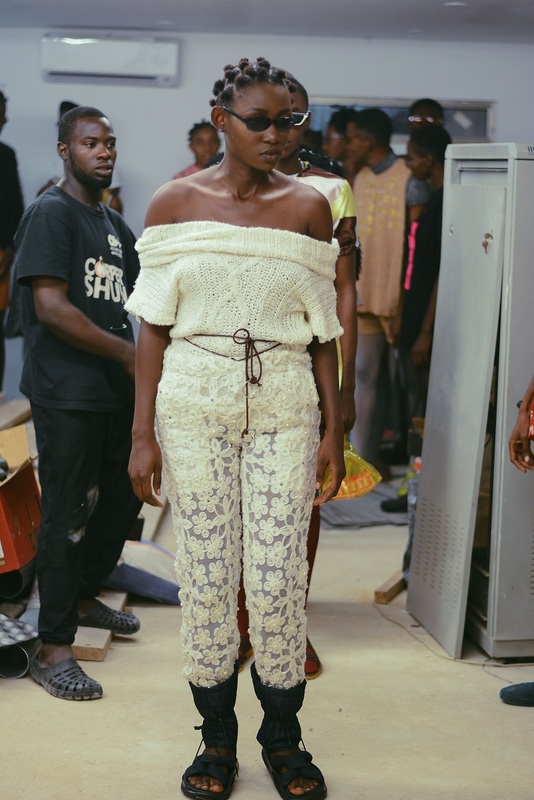 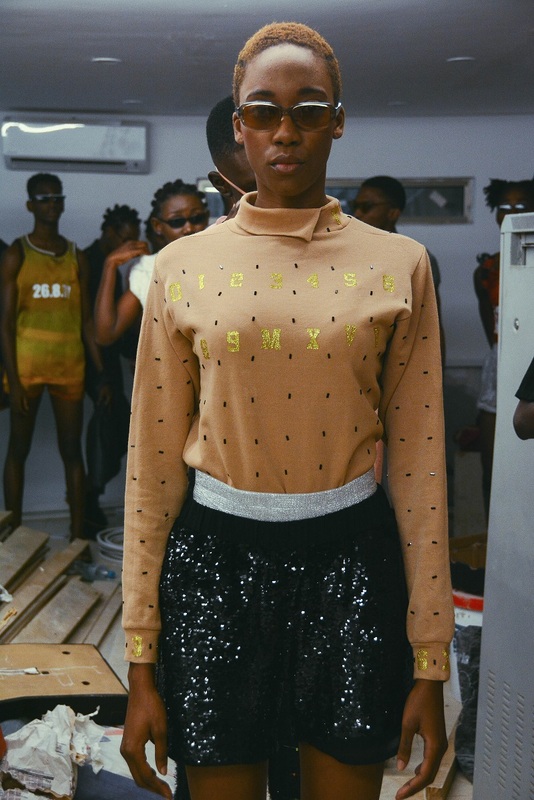 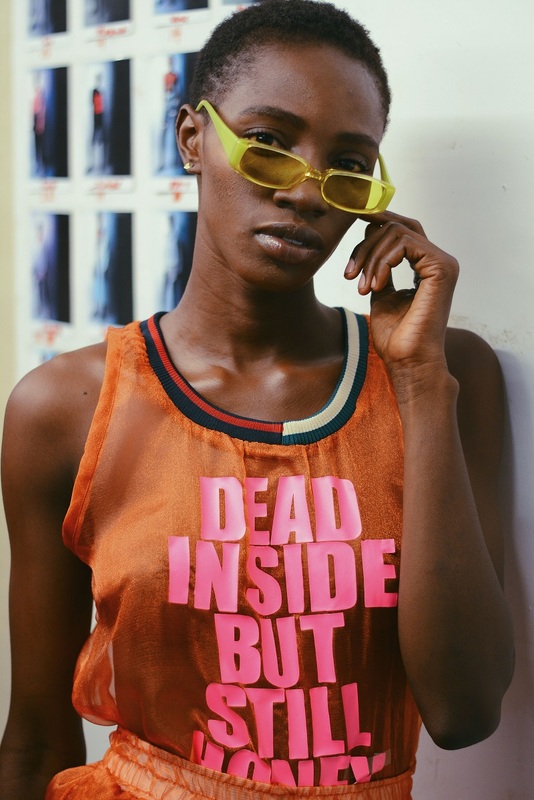 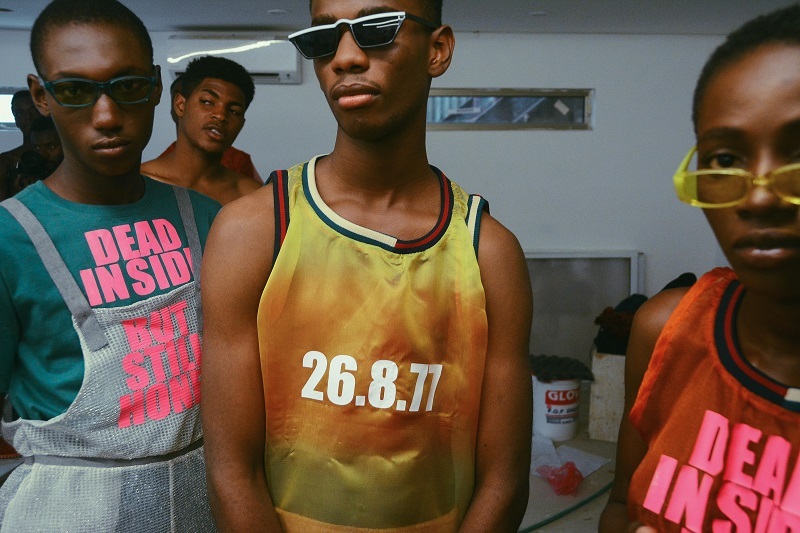 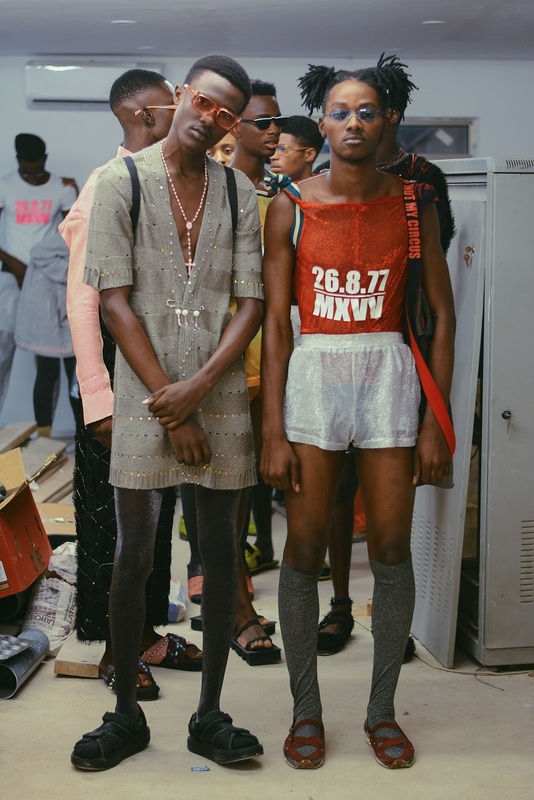 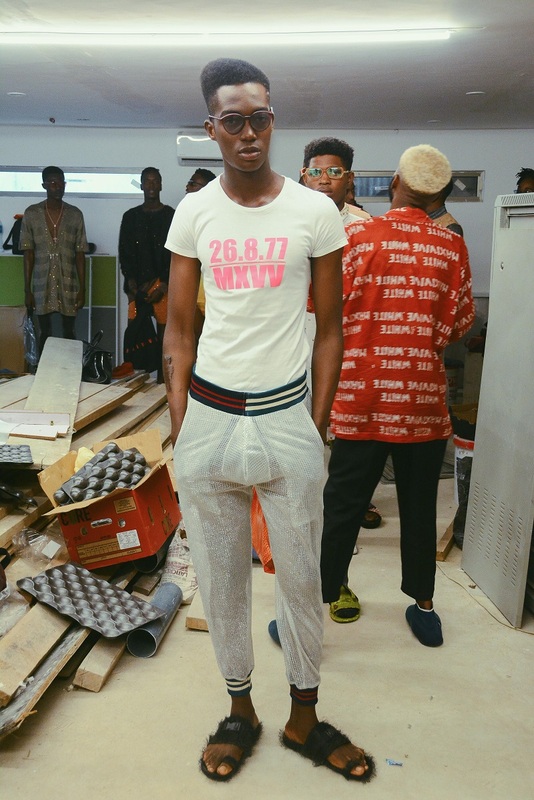 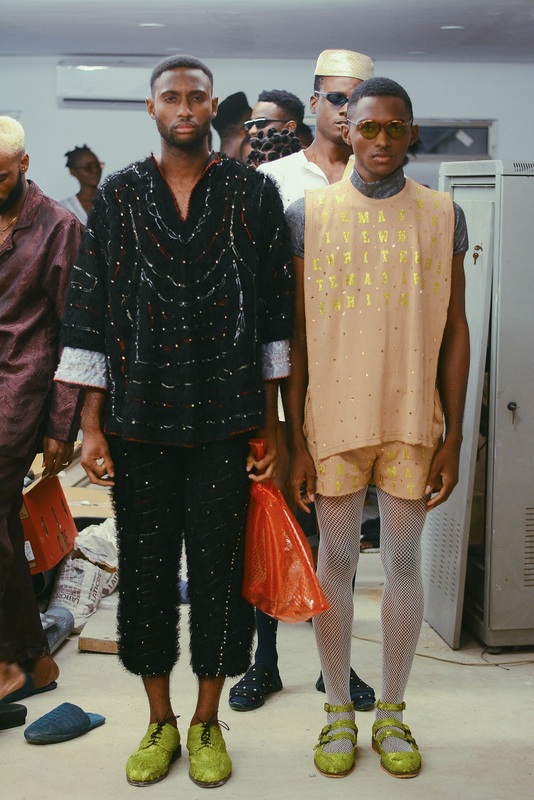 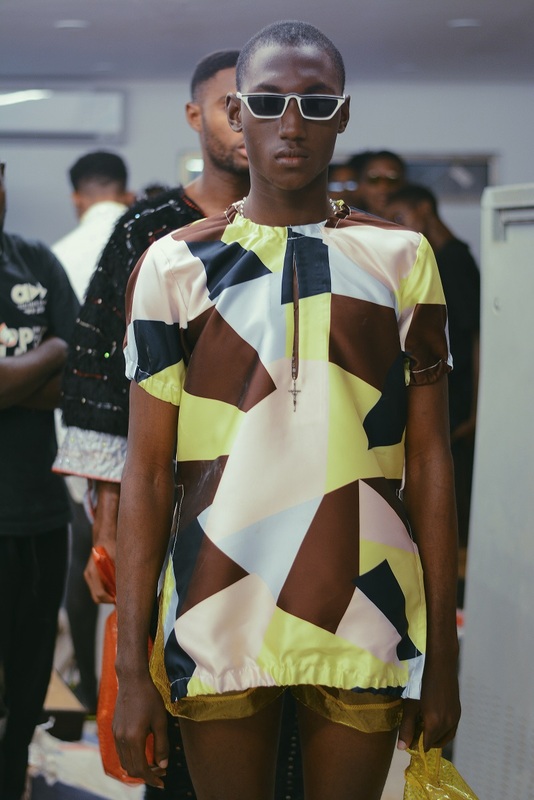 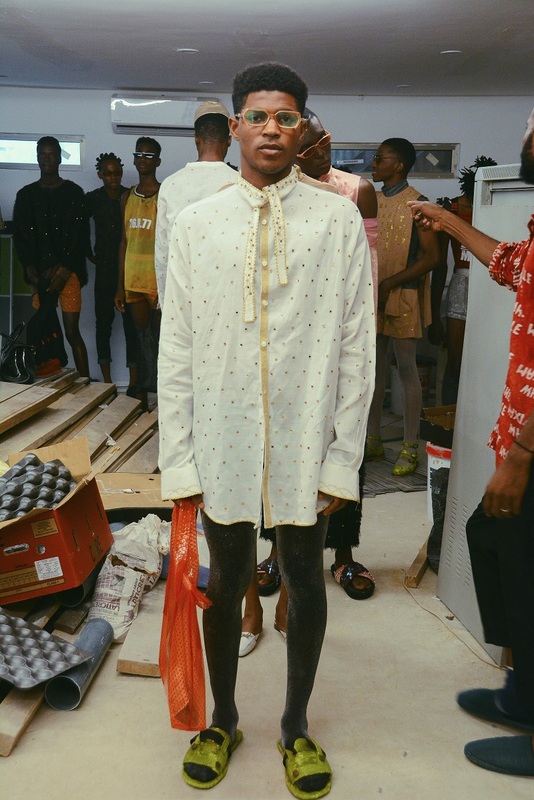 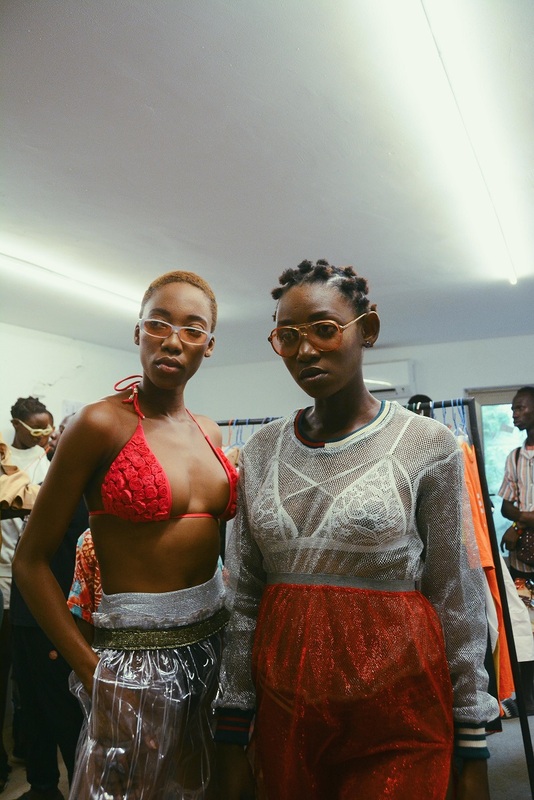 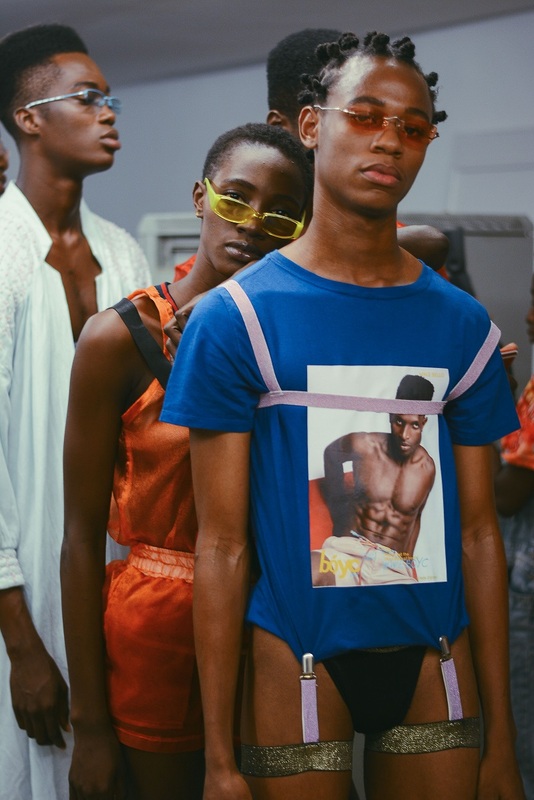 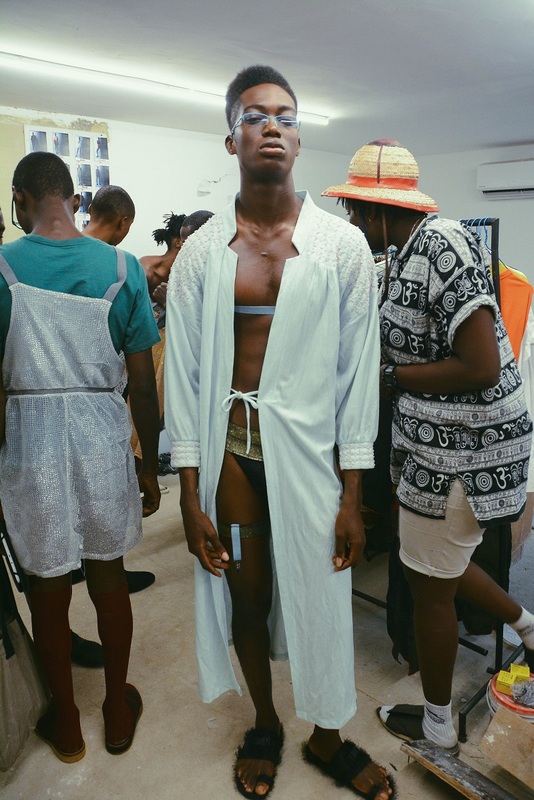 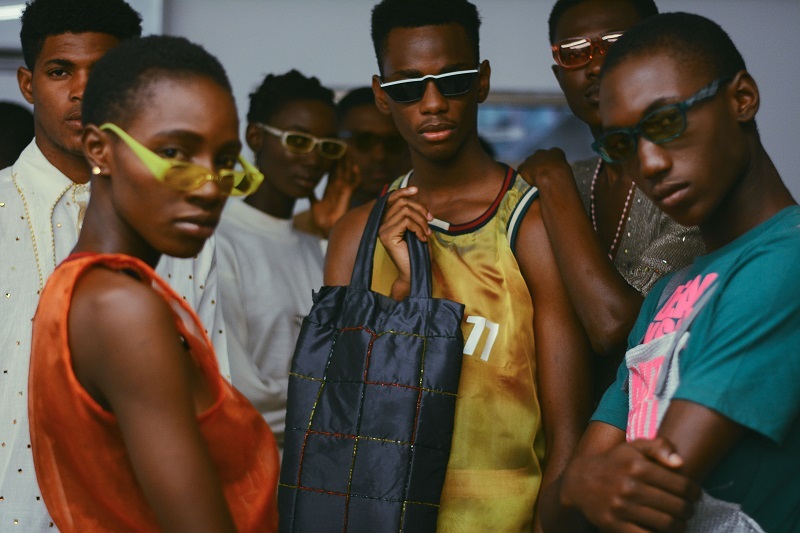 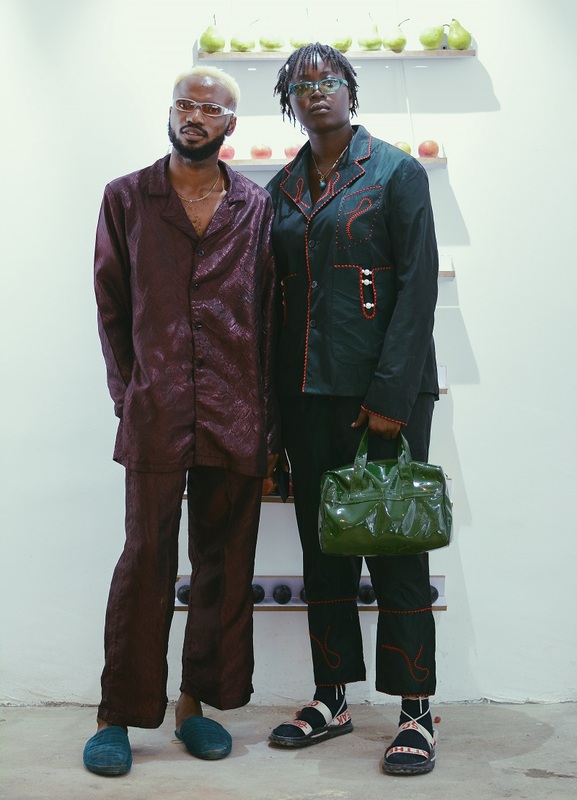 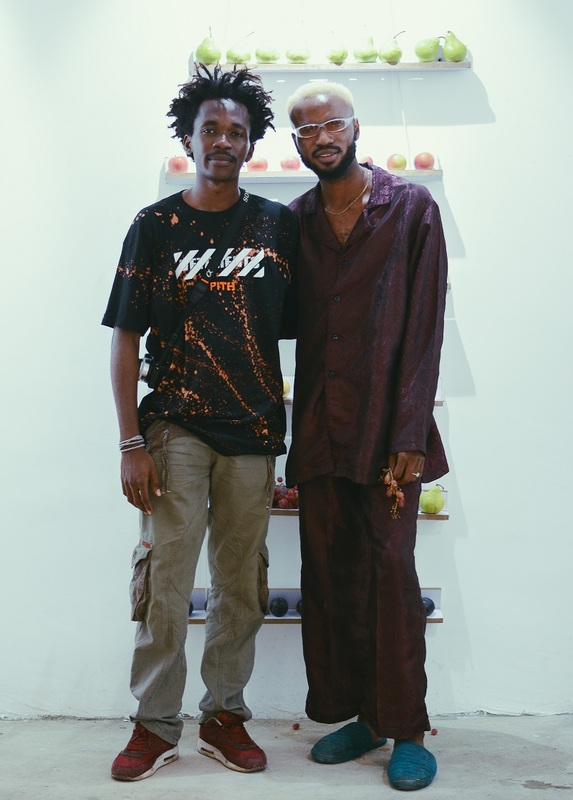 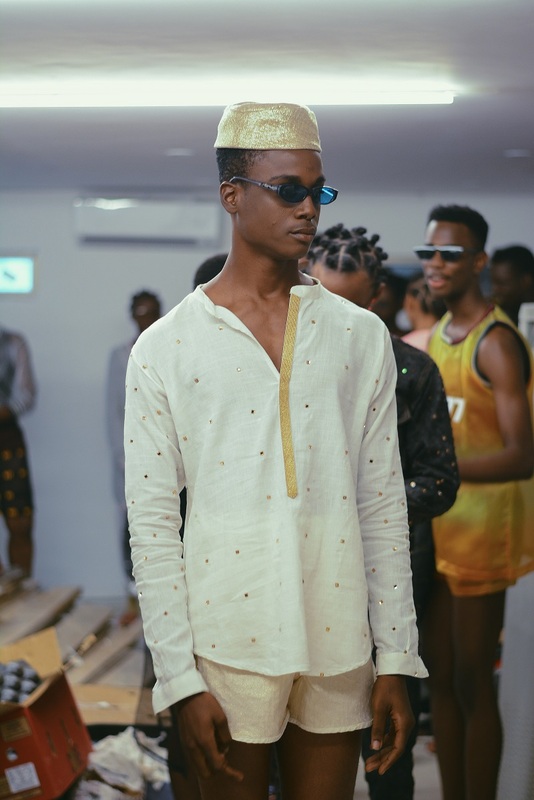 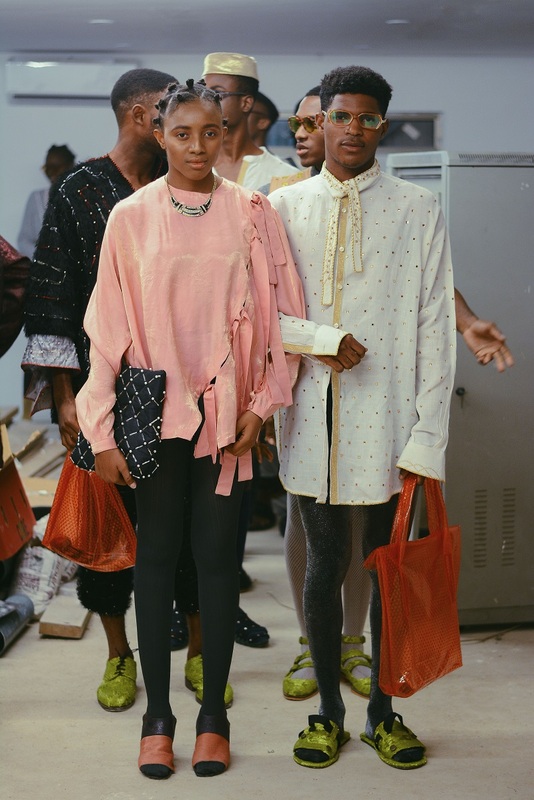 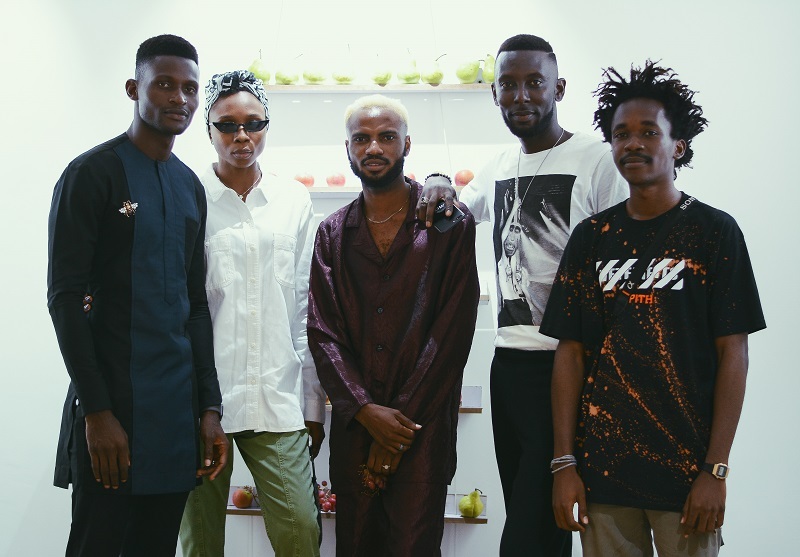 Papa Oyeyemi of Maxivive recently unveiled his Cruise 2018 collection. 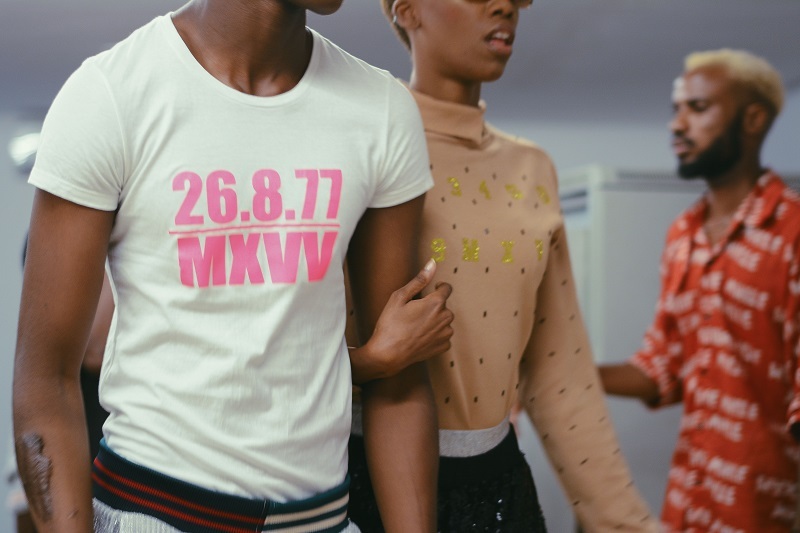 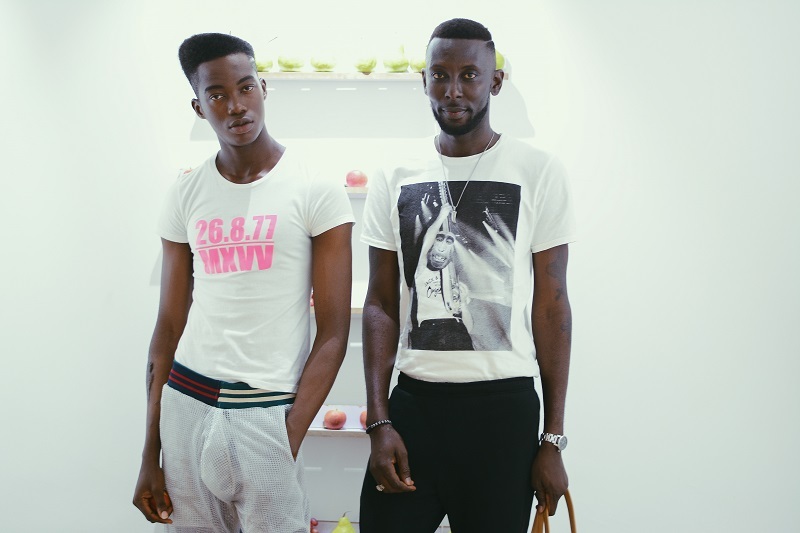 A capsule collection featuring statement T-shirts made for the Launch of Bo Young Creatives (BOYC). 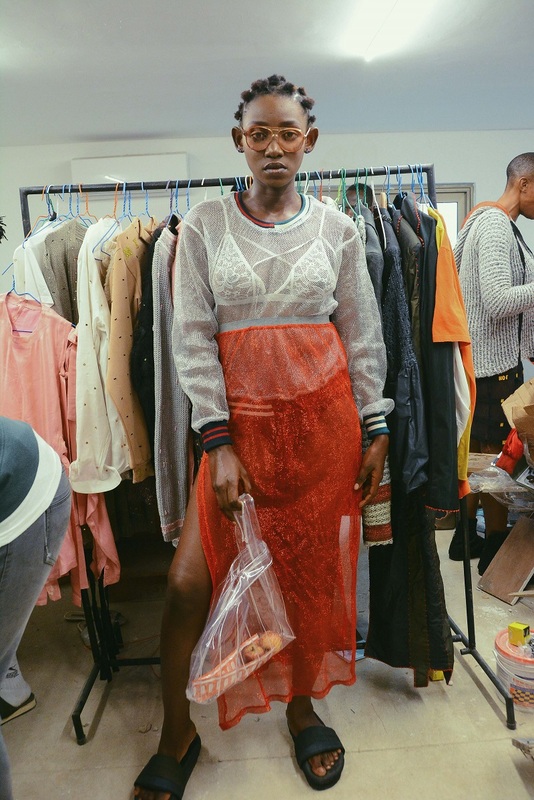 The showcase staged at A White Space Creative Agency had its set decorated by the head designer with a fruit shelf runway background, photo-booth mix fruit bar, trays of fruits filtering the room as layoffs and fruits dispatched on all seats. 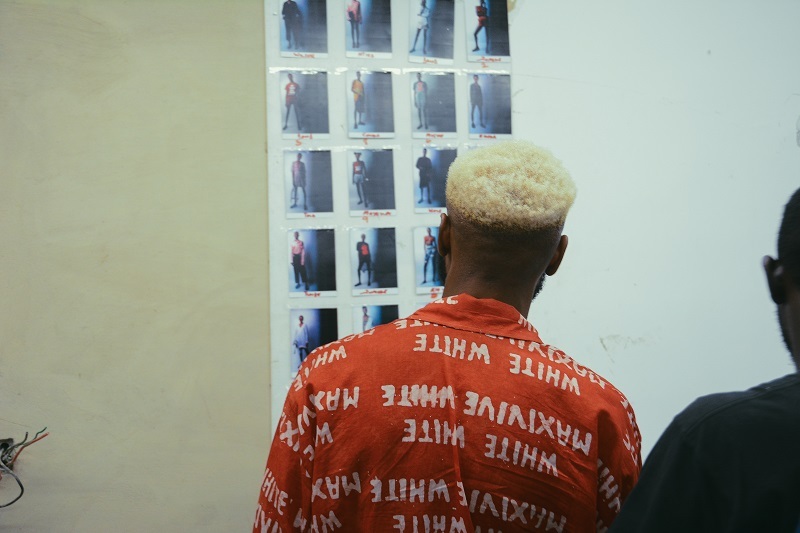 Behind the scenes was where most of the work was being done. 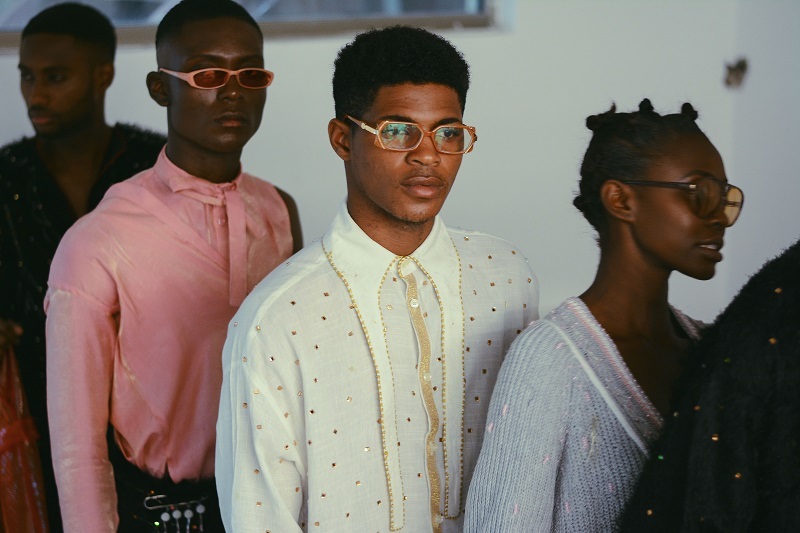 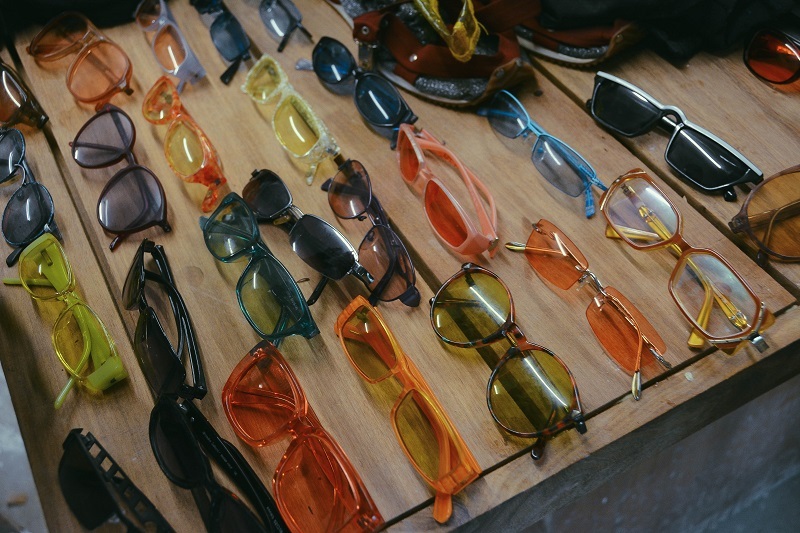 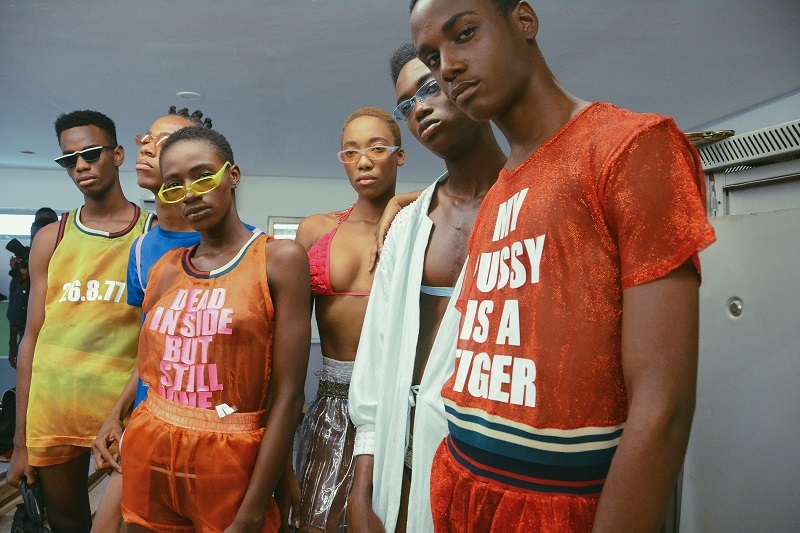 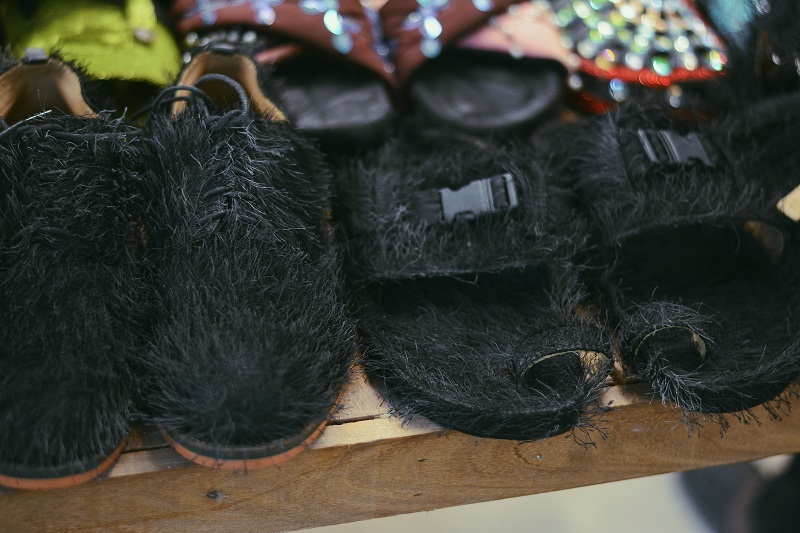 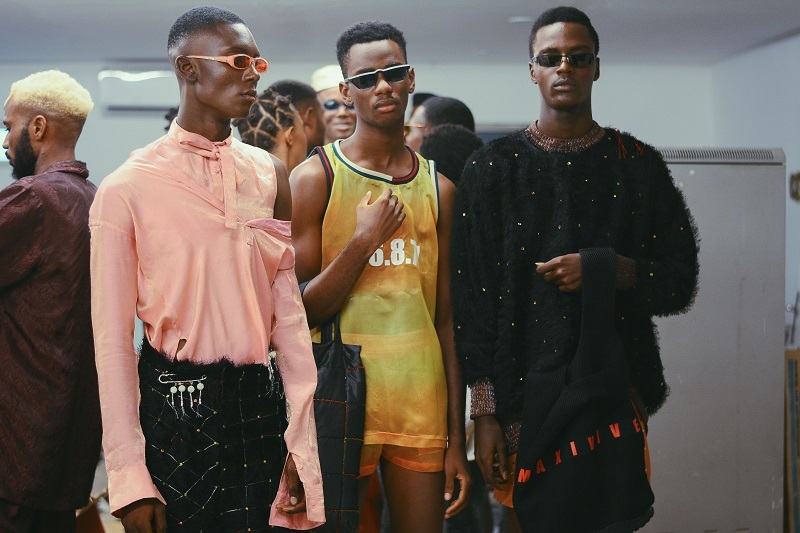 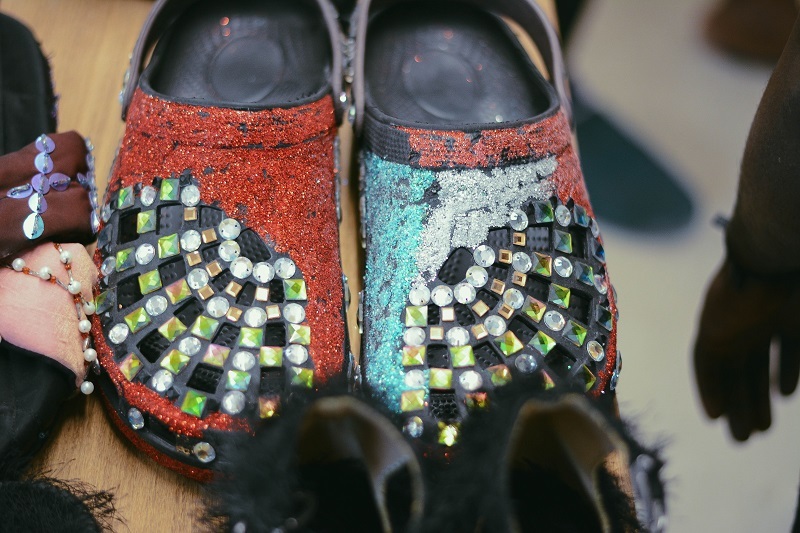 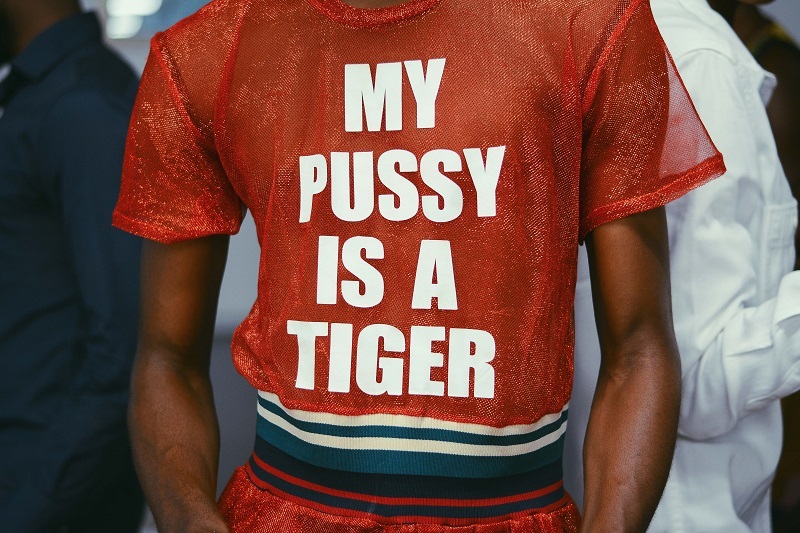 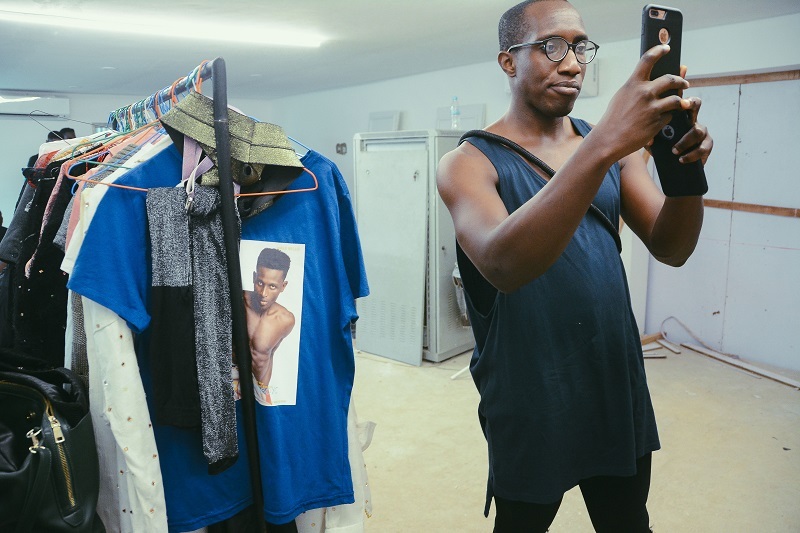 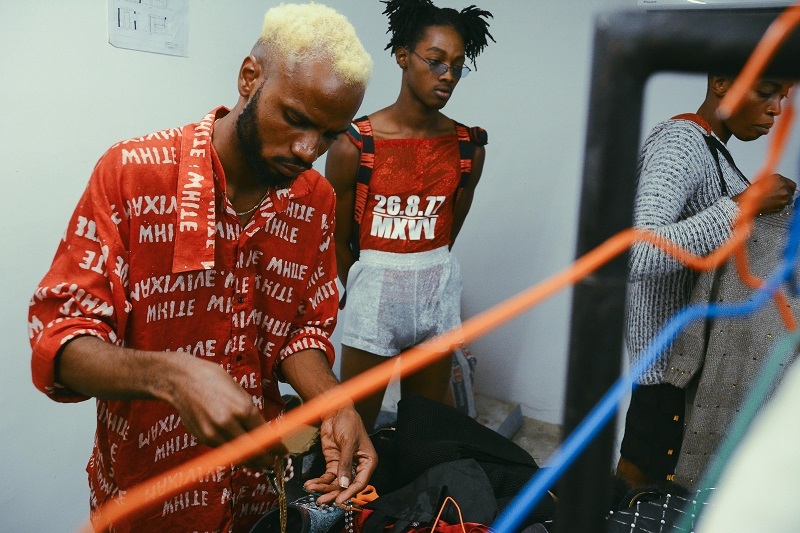 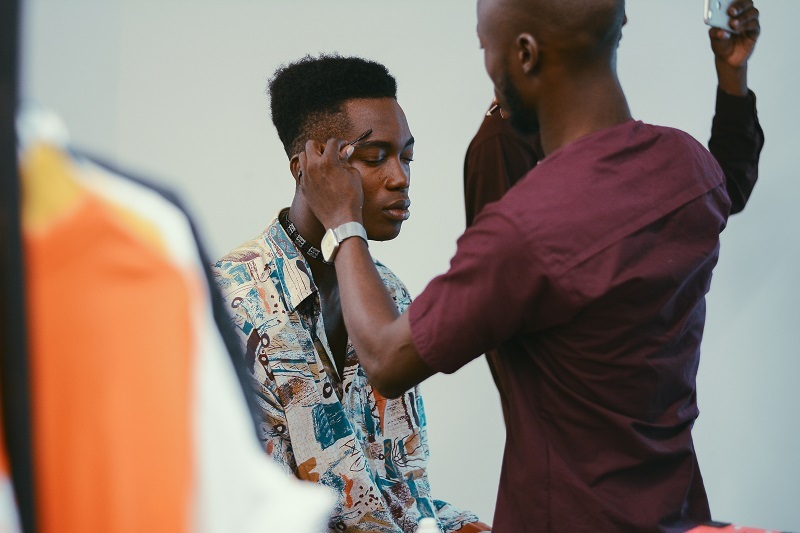 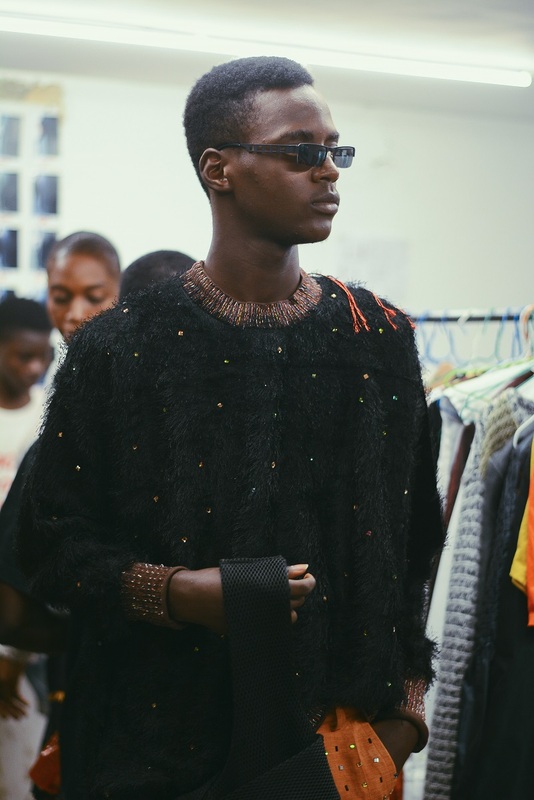 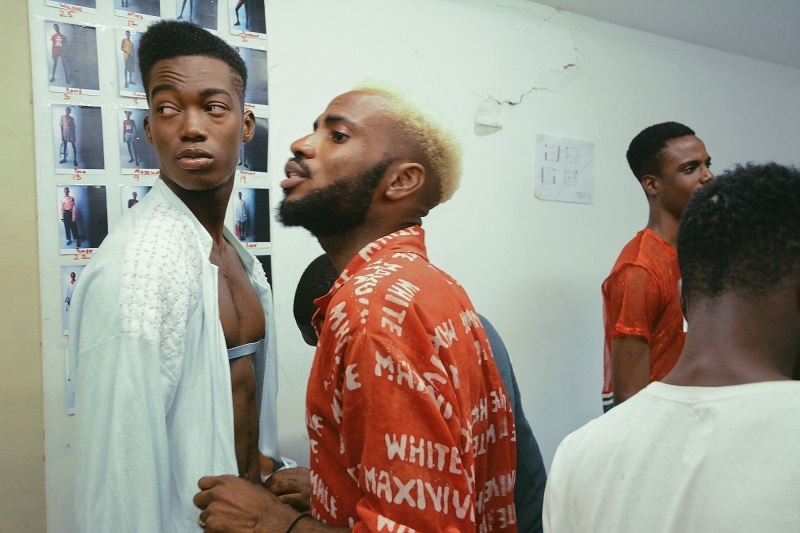 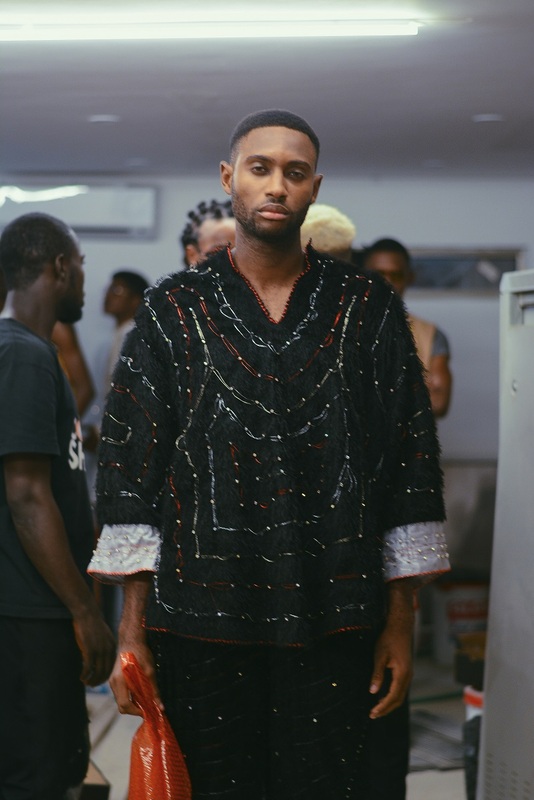 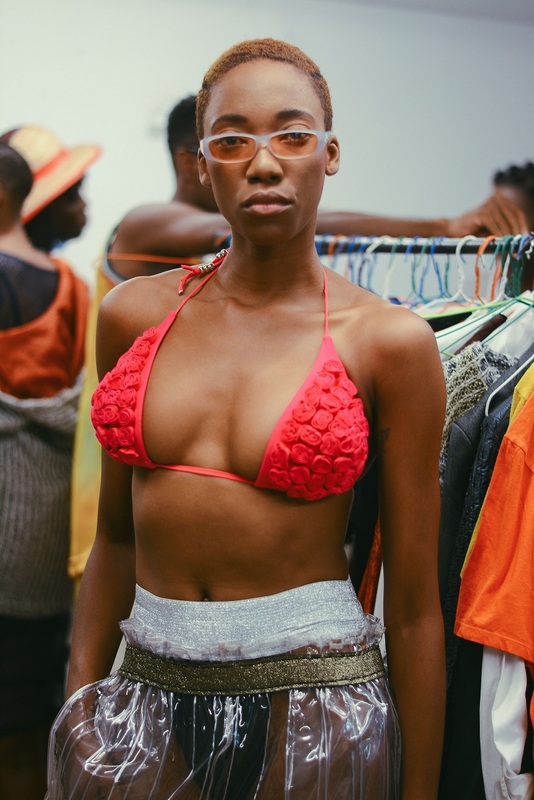 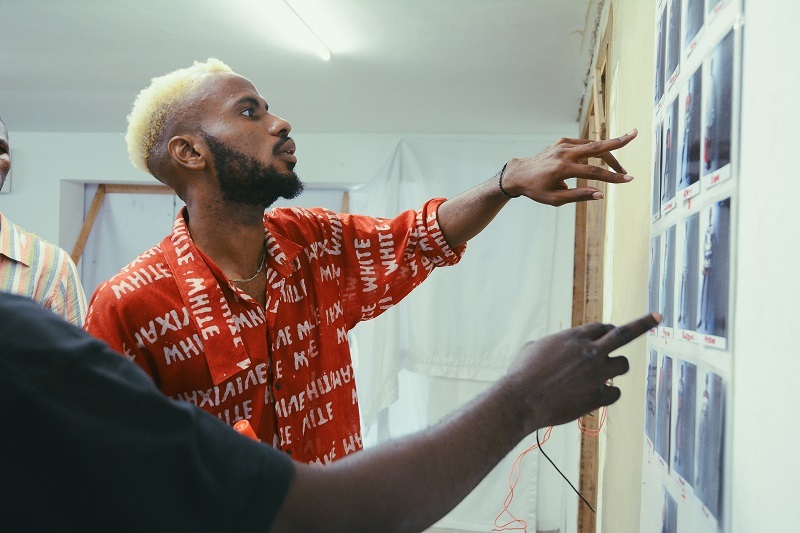 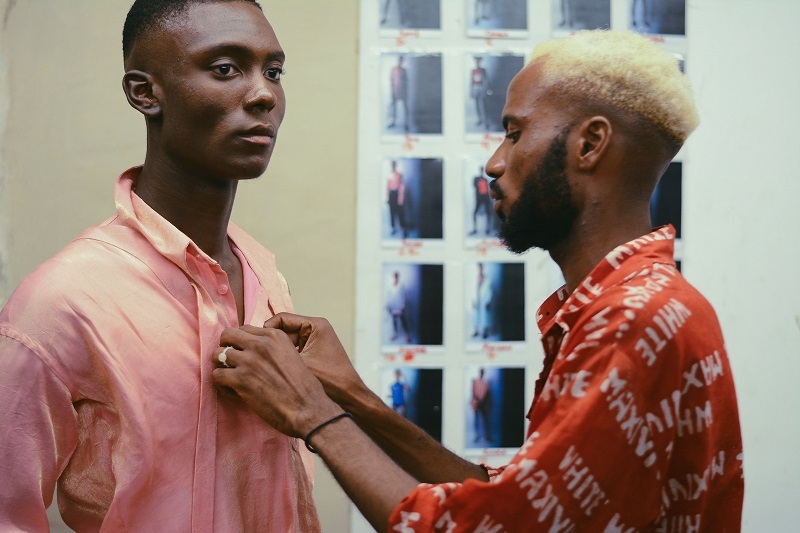 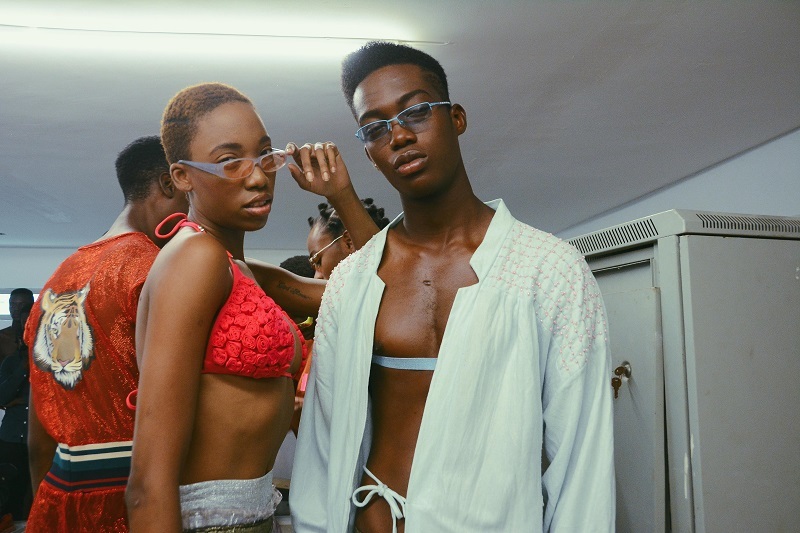 From the mood board and makeup to the accessories and stage props, models buzzed around trying on looks while Oyeyemi did his pre-show ritual – ensuring nothing goes wrong. 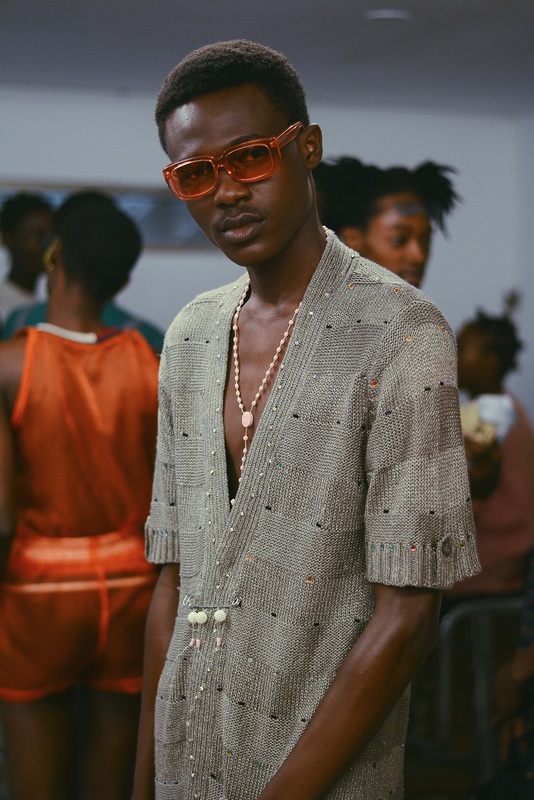 This collection gives a nod to African Safaris with its subtle colour palette, textures, loose silhouette and sparkling elements in shades of gold, silver and multi colours. 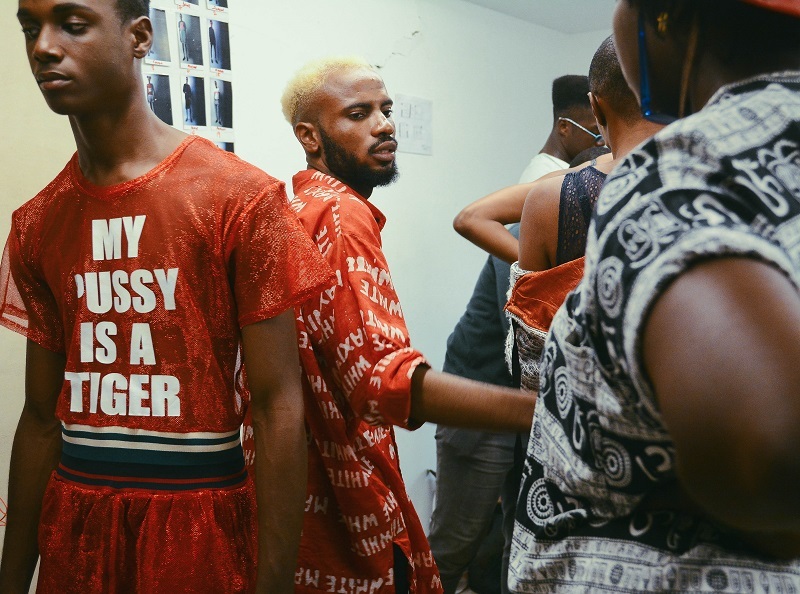 The invitation for this left lots to the imagination. 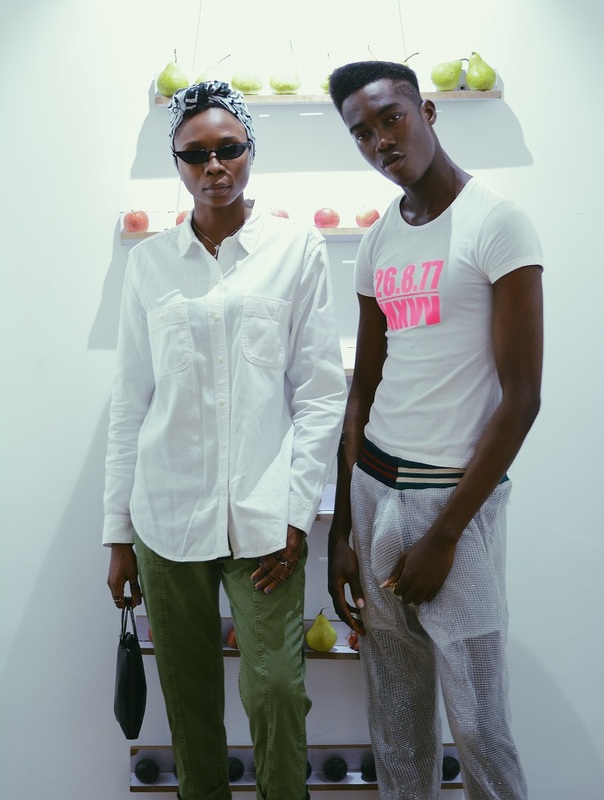 Papa sent fruits and a card a few days to the show. 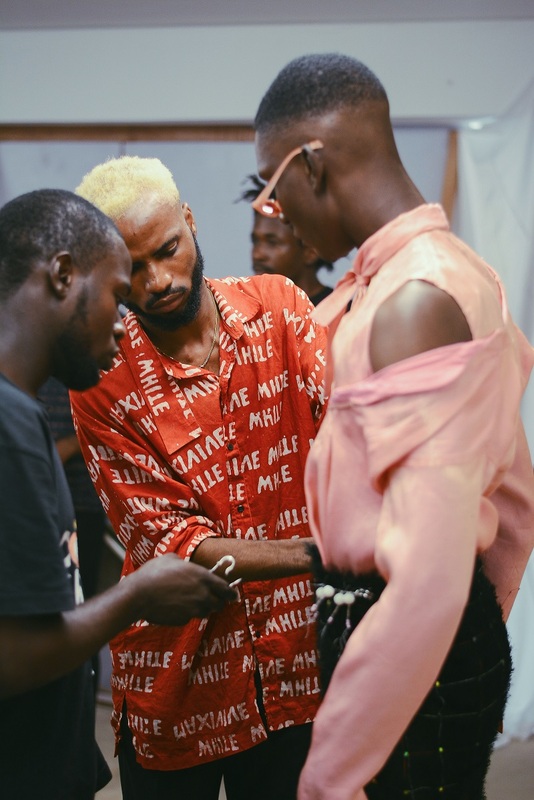 BN Style will be exclusively bringing you the full runway showcase, but before then, click on the gallery below to see all the behind-the-scenes moments.